As the 4th of July approaches, this is a bit early, but the story of our 1st flag (and how to make 5-pointed stars) needs telling. I sometimes say I'm Origami-impaired, but even so I love this story. 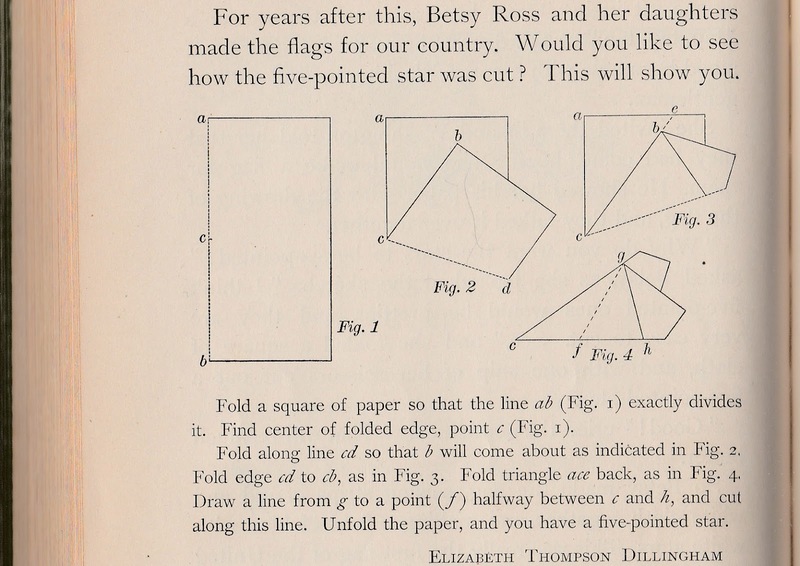 Thank heavens Betsy Ross's uncle knew her talent, including folding a 5-pointed star. 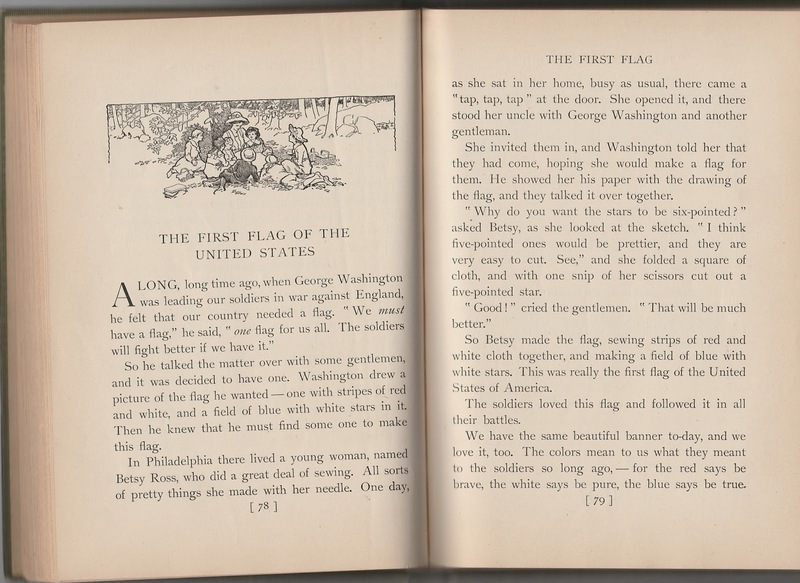 This came from the same book, "Tell It Again" Stories, by Elizabeth Thompson Dillingham and Adelle Powers Emerson I mentioned at the start of June. 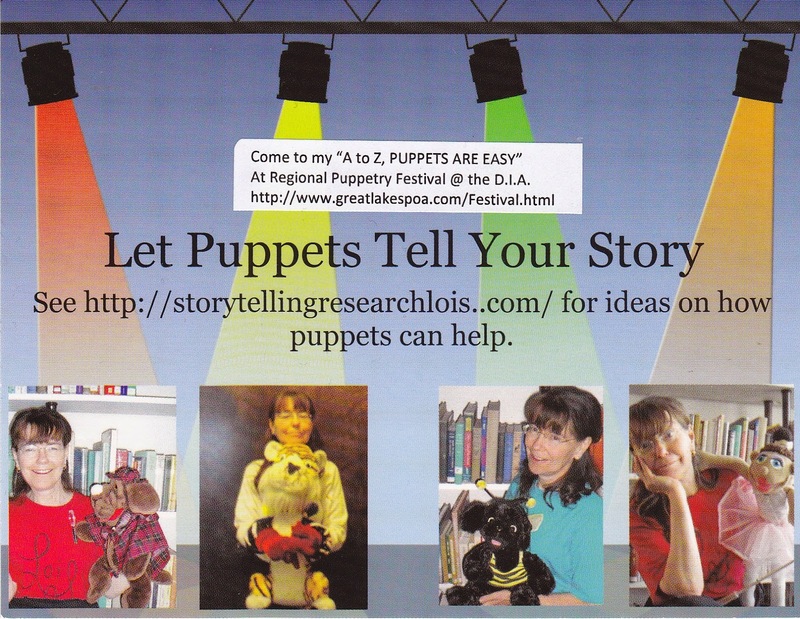 That article is worth another look and the entire book is available at Archive.org, including several holiday stories. Thanks, Rivka. Appreciate the link as much as I appreciate the possible myth and those 5-pointed stars. A bit more flag "myths"